If you’ve decided that your aging parents need some assistance to safely remain in their home, why not let the house do some of the work? Senior-proofing involves a little imagination and a walk-through of each room. Ask yourself, what might cause a slip, trip, or fall? What can be changed to make navigation or clean-up easier? Making frequently used items more accessible and eliminating obvious safety risks will prevent injuries and lighten your parents’ load. Senior-proofing isn’t just a matter of convenience. Preserving Mum and Dad’s energy may help them delay or avoid a move to a nursing home. According to the Center for Disease Control and Prevention, falls among older adults are often the cause of permanent disability. Two out of every ten seniors who fall break a bone or suffer a head injury. If that happens to your parents, they might have no choice but to leave their home for an assisted-living facility. It’s easy to give Mum and Dad’s place an extreme makeover to reduce the risk of accidents. Read this thorough checklist. You’ll probably come up with a few solutions of your own that are specific to the layout of their property. Then, with their permission, simply address any concerns in each area step by step. 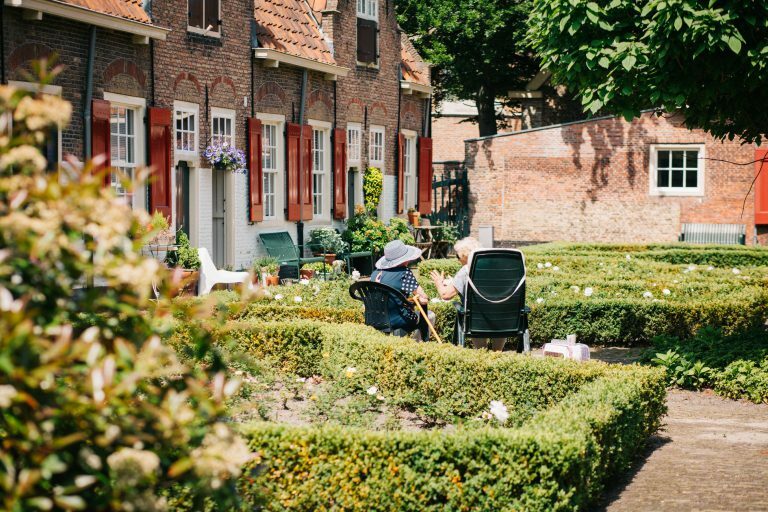 Once the environment is reorganised for a safe and easy living, you can keep it that way by scheduling regular visits from a senior care provider. In-home caregivers perform routine errands and maintenance that support a healthy atmosphere–and they can look out for any new risks or report issues that arise. Together with these professionals, you’ll help your parents make the most of their home life for as long as possible. Bending, stretching, and using rickety stools and stepladders can trigger accidents. Take a look at your parents’ cupboards, dressers, drawers, pantry, laundry room, and storage areas. Designate “safe zones” for retrieving items from these places based on your Mom’s and Dad’s ranges of motion. Then ask them to help you decide which things they use most, which ones they’d like within reach, and which can be moved to long-term storage. Many seniors lose their footing by tripping over obstacles or slipping on slick materials. Unsecured electrical cords and accumulated “junk” are prime culprits. Check every lamp in the home to make sure the wires aren’t frayed and are coiled out of the way. Pick up what you find on the floor, such as magazines, newspapers, and clothing. An in-home caregiver can control these threats by tidying up regularly. Loose rugs and uneven or slippery surfaces can catch Mom and Dad off guard and make them trip or slide. Indoors, make sure that mats and rugs lie flat. If they don’t, remove or replace them. Outdoors, look for hazards on the porch, patio, or walkway, such as: moss; tree or lawn debris; broken concrete; or holes in the ground. Trying to get around in the dark makes it harder for older adults to avoid stumbling blocks. Review each area of your parents’ house after the sun goes down, with the usual lights on. Which areas are too dim? Touch lights and clapper switches are smart fixes. Pay special attention to critical areas that might be visited at night, such as the pathway to the bathroom, kitchen, and garage. How dusty is each room? Carpets and heating and cooling ducts are major dust collectors. Dusting fixtures and furnishings and vacuuming or sweeping will help reduce particulate in the air, but steam-cleaning carpets and air ducts from time to time will have an immediate positive effect on air quality. An in-home caregiver can help Mom and Dad breathe easier by dusting, vacuuming, and calling a service to do the bigger jobs. How airy is each room? Ventilation brings fresh air and disperses pollutants such as tobacco smoke, mold, and bacteria. If rooms seem stuffy, you might install a ceiling fan. Make sure that windows open easily enough for Mom and Dad to operate. In summer, a window fan or air conditioner that lets you adjust airflow will keep air moving. If rooms must stay sealed due to cold weather or pollen, purchase an electronic air cleaner with a filter and fan. Is each room dry or humid? Check this condition during different seasons. Too much or too little moisture in the air can cause breathing difficulty. An electronic humidifier will add the right amount of moisture to ease dry eyes and noses. A dehumidifier or desiccant room dryer will deter mold and mildew growth. If you see moldy spots on doors, walls, or windows, clean them with a dilute bleach solution. How sanitary is food storage? Humidity and spills encourage mold to grow in refrigerators and contaminate food. Freezers that aren’t defrosted won’t keep food frozen and may send water drips onto the floor. Sweep debris out of fridge shelves and bins. Vacuum or sweep the coils behind the fridge to keep the machine working properly. Defrost the freezer every few months or replace it with a frost-free model. Living independently can be frustrating when regular tasks like opening jars and reading package instructions become more complicated. While in-home providers take over some kitchen duties, what happens in between caregiver shifts? Continue to senior-proof Mom and Dad’s place by considering how to make the “little things” easier for them to complete on their own. Again, check every room for potential improvements that will help them get around safely while tackling their to-do lists. Ease meal and medication time by considering how tough it is to deal with some packaging. Leave a rubber glove or commercial jar opener on the counter to handle sticky lids. Tie string to a magnifying glass and hang it in a convenient spot to ensure that your parents can read the fine print on food and medicine packages. This can prevent cooking mistakes and serious drug interactions. Getting up from chairs and sofas becomes a major undertaking for seniors who have compromised balance or muscle strength. This is a great time to rethink seating. Replace chairs that are too low to get out of easily or tables that are too short to reach while seated. Add cushions to easy chairs so your parents can sit up straight comfortably. Mobility is a common issue for older adults in these two rooms. If your parents don’t have an adjustable bed, consider purchasing a manual “bed ladder.” These grab straps attach to the footboard to offer leverage for an easy pull upward. In the bathroom, raised toilets and wall grab bars can prevent slips and falls. Little fixes allow Mom and Dad to get on with daily activities safely without having to call their caregiver every time. Senior-proofing their home may add just the right touches to preserve their independence and happiness.